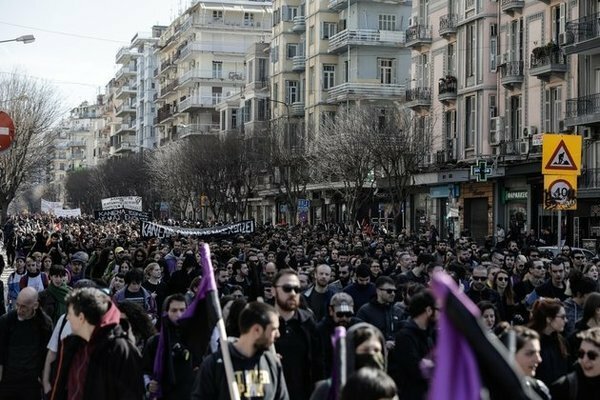 On January 21, 2018, a series of fascist attacks on emancipatory structures of the left-wing radical movement took place in the Greek city of Thessaloniki. 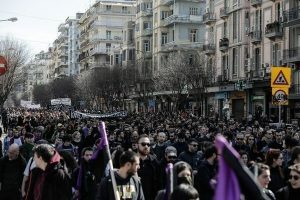 Tens of thousands of fascists, nationalists, patriots and clericals had gathered to give new impetus to the long dispute over the name of Macedonia and the legacy of Alexander the Great. 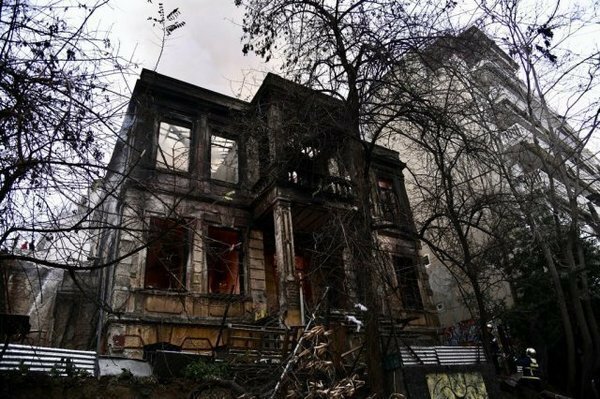 Nationalists in Greece and the Former Yugoslav Republic of Macedonia (FYROM) claim the name Macedonia in equal measure. Both states provoke themselves again and again for years, i.e. by naming historical places or airports after Alexander the Great. Since 2014, there have been no negotiations between the two countries. Nevertheless, an agreement emerged lately. 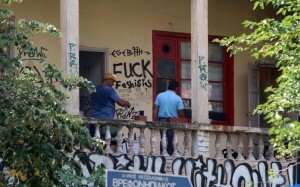 In the morning of 04/01 in Volos, there was a coordinated operation to evict the Termita Squat. 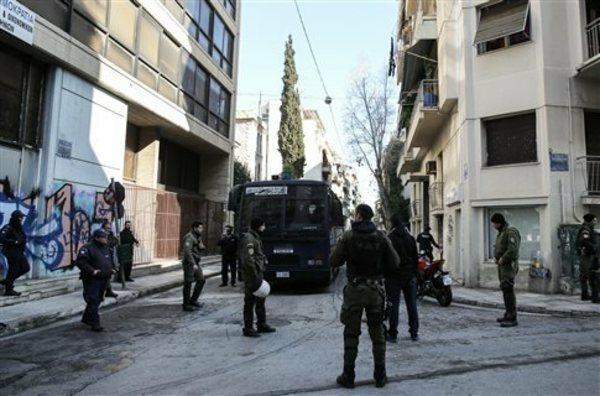 The eviction was made by the University of Thessaly and the police force of Volos and other forces of the region. 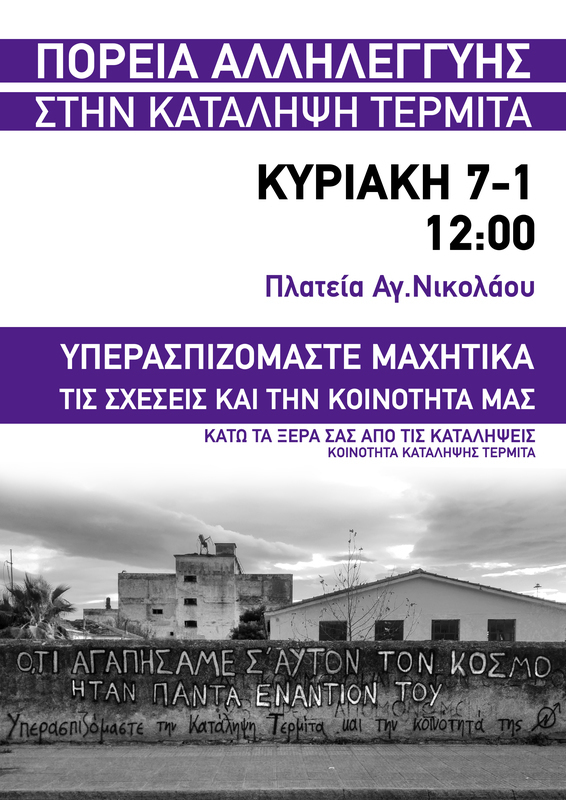 During the eviction 3 comrades were arrested and released some hours later with the accusation of disturbance of domestic peace and the 6 buildings were demolished right after the operation. 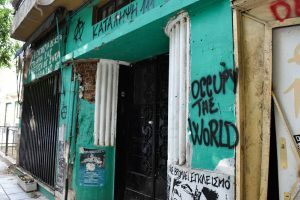 On August 3rd 2017, cops raided several houses and occupied spaces in Florence (eviction of Riottosa squat), Rome and Lecce, aiming at the arrest of 8 comrades from Florence. This specific operation concerns 2 attacks. 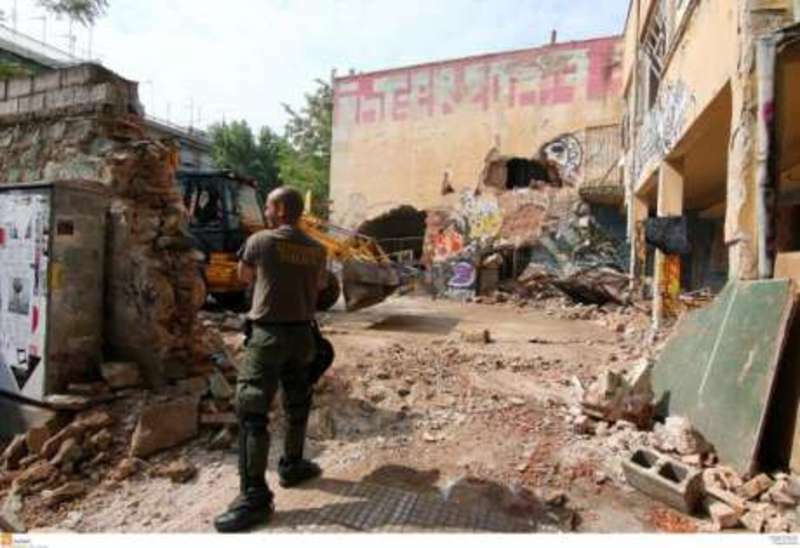 The first concerns the placing of an explosive device at a fascist bookstore that has connections with Casapound, on new years day last year, resulting in the injury of the bomb disposal cop (who lost an arm and eye). 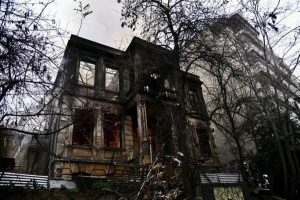 The second attack was with molotov cocktails against police facilities on April 4th 2016. The 2 attacks took place in Florence. Cops claim that they identified people through phone taps, surveillance, and identification of dna samples. In the morning of Wednesday the 5th of April, the police, led by an OPKE unit, evicted a house in Ano Poli, Thessaloniki. 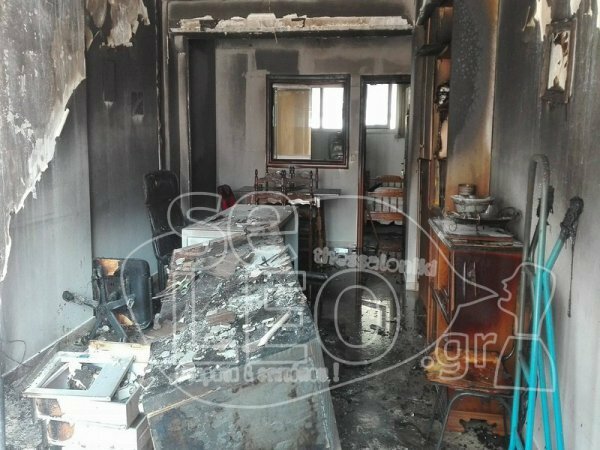 Under the threat of fire-weapons, 13 people were arrested and brought to the police station in Monastiriou. 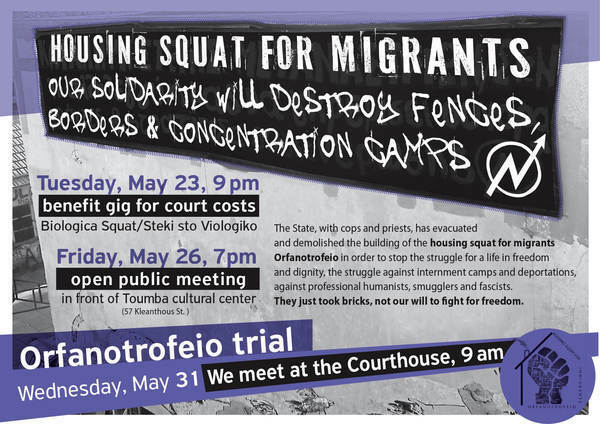 The cops refused to let the arrested use their right to contact a lawyer and get translators for 5 hours. 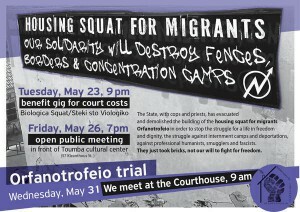 9 people that came to in solidarity were also brought to the “megaron” and kept 3 hours for identity control. One of them now faces the charge of resistance after the pigs beat him up. 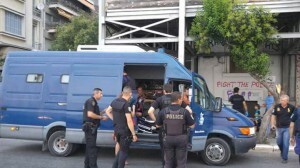 During the day, 2 people had to be transferred to the hospital : one with a severe head-wound after the treatment he received in the police station (the physical and psychological violence of the cops following him even in the walls of the hospital) ; the other because of his health, the pigs refusing for hours to take in consideration his signed appointment with a doctor for this precise day, and for hours refusing giving their prescribed medication to him and another person. This is an individual statement after the trial that followed an action against the Orthodox Church in Thessaloniki. Although this statement doesn’t represent anybody except myself and may include an uncompleted picture, I decided that it should be spread. Never trust the media! Last Wednesday (27th July), the Greek state evicted three squats occupied by migrants in the city of Thessaloniki, triggering reprisals by rebels in the city and beyond. 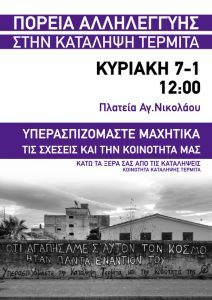 This follows the eviction of the camp at Piraeus port, Athens and the expulsion of a new social centre in Lesvos. 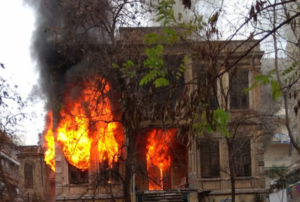 The eviction of three occupied refugee shelters in Thessaloniki marks another episode in the Greek government’s war on grassroots solidarity efforts. 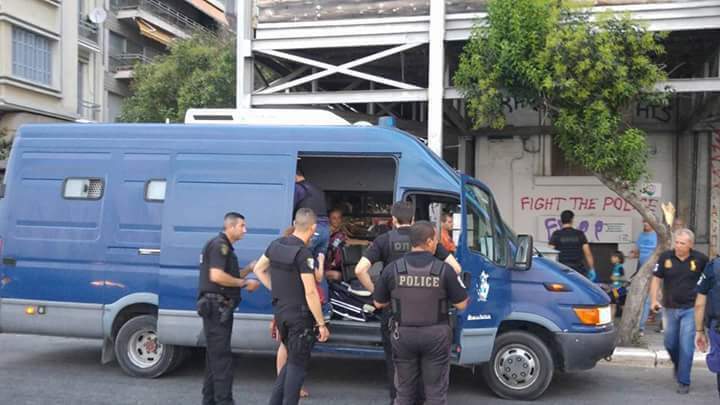 In the early morning of July 27, refugee families and supporters who were sleeping at Thessaloniki’s three occupied refugee shelters — Nikis, Orfanotrofeio and Hurriya — were woken up by police in riot gear. In a well-orchestrated police operation, hundreds of people were detained. Most occupants with refugee status were released, while some were transported to military-run refugee reception centers. The rest of the occupants, 74 people of more than a dozen different nationalities, were taken into police custody.